The dash cams in this category are some of the best quality you will find. If you are looking for fantastic video quality, a wide array of features, and superb reliability, this is the place to look. As most of these cameras are manufactured by established brands, they will rarely be faulty, as quality control is much higher. A top level dash cam should last many years, and for this reason we advise using good quality microSD cards to match the reliability of the camera. Recording high quality footage in low light can be very difficult for most cameras, but these high end dash cams should provide clear and crisp video in all situations. Remember, unless you are using a Parking Mode feature, take the dash cam with you or hide it somewhere in the car while parked. These cameras often appear far more attractive to thieves. 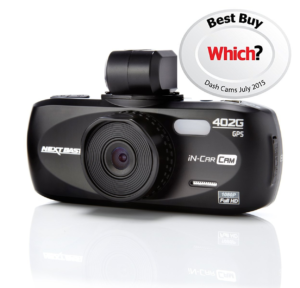 Nextbase 402G Professional Dash Cam - The 402G won the Which? Best Buy in both 2014 and 2015 for the Dash Cam category. It's easy to see why, as this camera features everything you would need and expect from a high end dash cam. The 1080p Full HD video looks great recorded with the 140 degree wide angle lens, and the Wide Dynamic Range technology helps the Nextbase 402G to maintain clear images in low light conditions. This car cam also comes with in built GPS, allowing you to view your journey on Google Maps, and provides you with speed information. You can't go wrong with this professional dash cam. 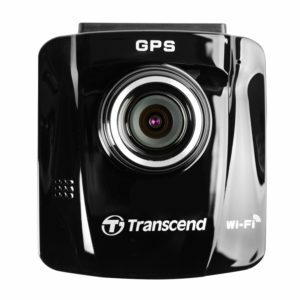 Transcend DrivePro 220 Dash Cam - The DrivePro 220 is one of the more advanced dash cams from Transcend. This well established company is known for providing top quality SD cards, so reliability shouldn't be an issue with the camera. As with the other dash cams in this price range, the Transcend DP220 can record in 1080p, and has a 130 degree wide angle lens. There are plenty of features with this advanced dash cam, most noticeably the built-in Wifi. This allows users to stream or download video to a smartphone or tablet. Other features include GPS for location and speed data, a Lane Departure Warning System, and a Forward Collision Warning System. Vantrue R2 Car Dash Cam - The Vantrue R2 uses the highly rated Ambarella A7 chipset, allowing the driver to record in 1296p 2K. This dash cam also makes use of a 170 degree wide angle lens, allowing coverage of all motorway lanes. Although not a well known brand, Vantrue is becoming more established as seller of high quality dash cams. The design is particularly eye catching, with a sleek and robust style. 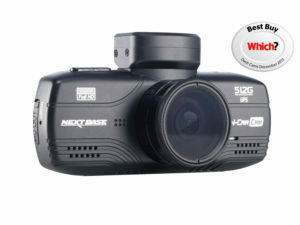 Nextbase 512G Dash Cam - The 512G was awarded the Which? best buy in the dash cam category in 2015. The bright, clear 2.7 inch screen allows easy playback and menu operation. One of our favourite features of the Nextbase 512G is the Anti-Glare polarising feature, which removes the glare from the windscreen. This camera is capable of recording in Full 1080p @30fps, with a 140 degree wide angle lens. The built-in GPS will track location data, while parking mode allows the driver to record while parked. Overall, this is a great quality and reliable dash cam, from a well established brand. 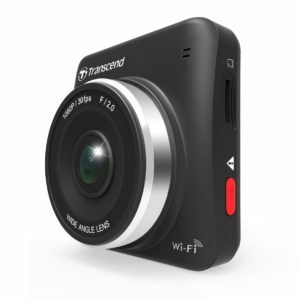 Transcend DrivePro 200 Dash Cam - Like the DrivePro 220, the DP200 uses a built-in Wifi feature to stream or transfer video to a smartphone or tablet. 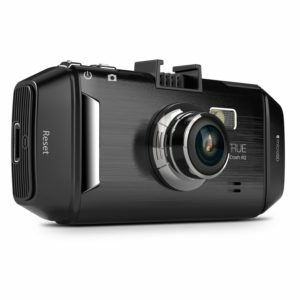 The dash cam can record in 1080p with its 160 degree wide angle lens, and has a nice discreet design. Unlike the DrivePro 220, this camera doesn't include a GPS function, but will offer fantastic video quality. A free 32GB microSD Card is included with the Transcend DrivePro 200. If the Wifi feature doesn't interest you, take a look at the cheaper Transcend DrivePro 100 for better value for money.